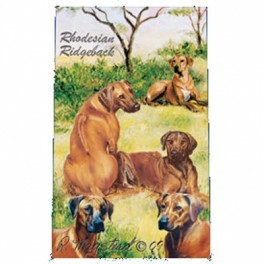 Rhodesian Ridgeback black ink writing pen with gold coloured clip. Medium tip. 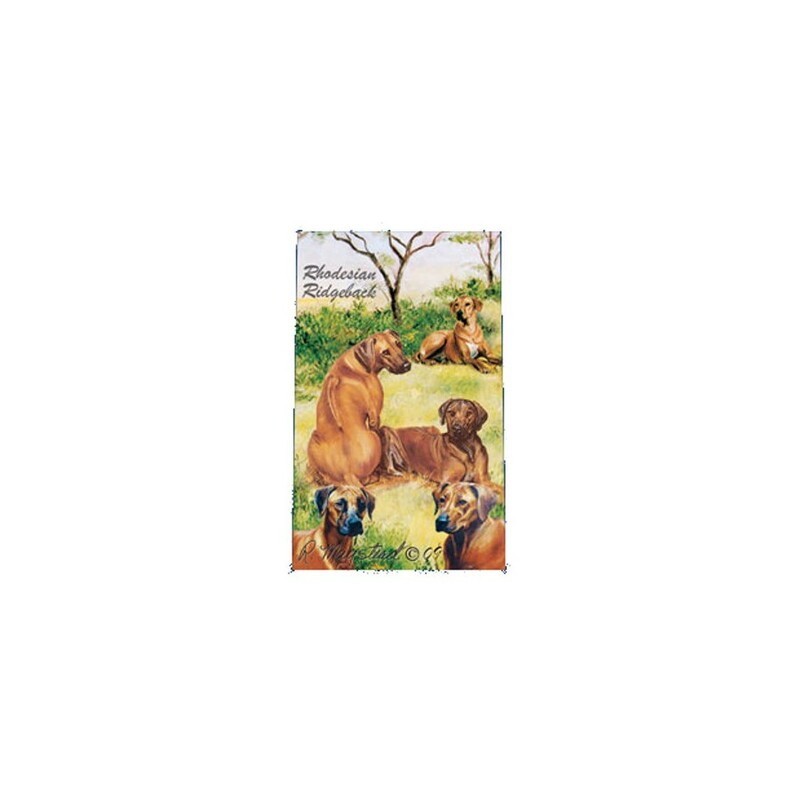 Medium tipped writing pen with gold coloured accents features a collage of Rhodesian Ridgeback artworks by artist Ruth Maystead. Black ink. Refills available. 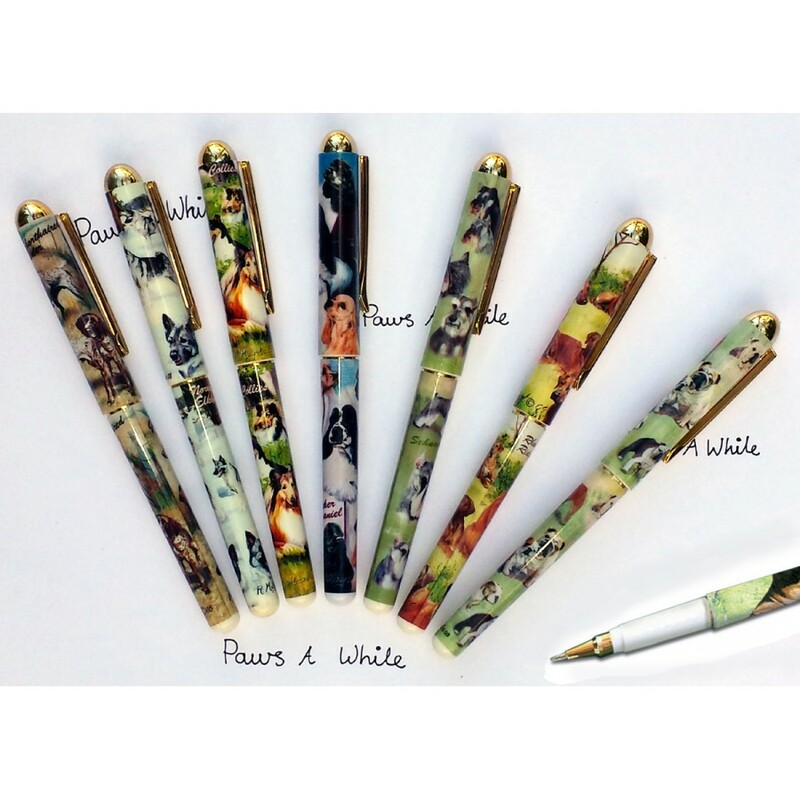 First image shows the design on the pen, the second image shows a collection of pens.